Congratulations, Facebook. You're the new Rock 'n' Roll: Corruptor of America's Youth. According to the latest back-to-school survey by The National Center on Addiction and Substance Abuse at Columbia University (CASA Columbia), American teens who spend any time on social networking sites are more likely to drink, smoke, and take drugs. 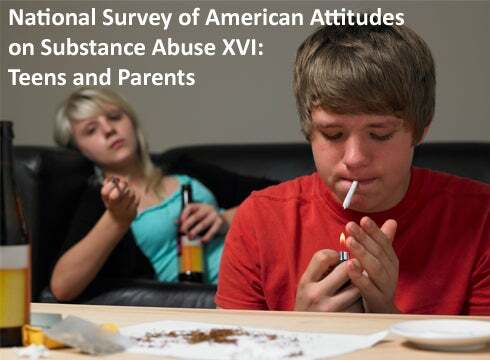 For the first time this year, the annual National Survey of American Attitudes on Substance Abuse XVI: Teens and Parents asked 12- to 17-year olds if--like millions of older folk--they like to waste time on Facebook, Myspace and other social nets. The survey shows that 70 percent of teens--a population of about 17 million--spend some time on social networks in a typical day. Compared to the 30 percent of teens who aren't daily users, this group is five times as likely to use tobacco, three times as likely to use alcohol, and twice as likely to use marijuana, the survey says. Teens who've seen substance abuse photos--such as images of kids using drugs, getting drunk, or passed out--on social networks are even more likely to drink and take drugs. Television programming adds fuel to the fire. Kids who watch teen reality shows such as Jersey Shore, Teen Mom, and 16 and Pregnant are also more likely to partake in substance abuse, according the CASA survey. “The anything goes, free-for-all world of Internet expression and suggestive television programming that teens are exposed to on a daily basis puts them at increased risk of substance abuse,” said Joseph A. Califano, Jr., CASA Columbia’s founder and chairman, in a statement. “The findings in this year’s survey should strike Facebook fear into the hearts of parents of young children and drive home the need for parents to give their children the will and skill to keep their heads above the water of the corrupting cultural currents their children must navigate,” added Califano. The CASA study makes for great headlines, but are social networks really a significant contributor to teen substance abuse? After all, drinking and drugging among the 12-to-17 crowd is strongly influenced by a variety of maladies that predate Facebook, Myspace, and Twitter, including (in no particular order): Peer pressure, boredom, familial conflicts, history of family substance abuse, depression, experimentation, and good, old-fashioned parental neglect. All of these social ills still exist, I suspect, even in a world where everyone has a smartphone (OK, maybe a feature phone, since we're talking about teens here). The survey also points out that teens who are cyber-bullied are more likely to abuse drugs and alcohol. I don't doubt that, but it's probably also true that teens who are bullied offline are more likely to abuse these substances too. Social networks may facilitate interaction among teens, but do they really encourage bad behavior? Or do they simply bring the trials and tribulations of teen life online?